Genting Singapore Ltd, operator of the city-state’s Resorts World Sentosa casino complex (pictured), is to pay back early – on a voluntary basis – a total of SGD680 million (US$503 million) left outstanding from its SGD2.27-billion syndicated senior secured credit facilities. Once payment is completed the credit facilities – dating from March 23, 2015 – will be cancelled on April 25, said the firm in a Wednesday filing to the Singapore Exchange. “The loan repayment will be paid from internal cash resources of the group (being the company and its subsidiaries) and will allow the group to improve its capital efficiency,” stated Genting Singapore. On Monday this week, credit analysis firm Fitch Ratings Inc had given some commentary on the credit outlook for Genting Singapore’s parent, Malaysian conglomerate Genting Bhd. Fitch did so in the wake of the announcement on April 3 that Genting Singapore would need to make a capital commitment of SGD4.5 billion as a condition of the Singapore government maintaining the current casino duopoly in the city-state until 2030. The “A- ‘stable’” rating of Genting Bhd was “not affected” by the redevelopment of the Singapore casino resort as “the impact on its credit metrics is manageable within its current rating,” said Fitch in its Monday note. Last week several investment analysts had expressed concern that the size of the Singapore capital commitment would mean minimal free cash flow for Genting Singapore in the next four to five years. Las Vegas Sands Corp – rated by Fitch as “BBB- ‘positive’” – and its Marina Bay Sands property also got an extension of their respective casino rights under the Singapore duopoly, and must also invest SGD4.5 billion. 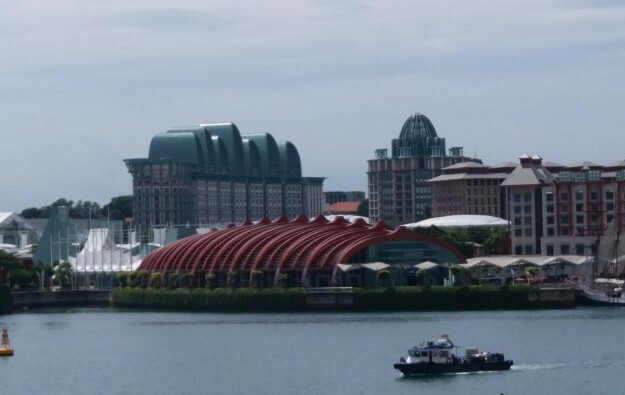 The Singapore government’s stated purpose in allowing casinos to open in 2010 was to expand national gross domestic product by attracting more overseas tourists to the city. Since that time there has been a wave of new large-scale casino properties opening around Asia, creating potential rival channels for the dollars of tourists from Asia-Pacific and beyond. Fitch noted that, as another element in the latest regulatory shake up of the local industry, “the gaming tax in Singapore will increase in 2022 by about 3 percent”. The Singaporean authorities had also announced on April 3 an increase to casino entry levies for locals, as part of their effort regarding “minimising the social impact of problem gambling”. Local citizens and permanent residents of the city-state faced a 50 percent hike on the daily casino entrance fee, to SGD150, from April 4. The levy for an annual pass was increased to SGD3,000 from SGD2,000. Fitch also gave some commentary on the Genting group’s credit outlook once a new project in Nevada, in the United States opens in 2020. It added that Genting Overseas Holdings was a 100-percent owned subsidiary of Genting Bhd, and that the unit “effectively” held 52.7 percent of Genting Singapore.